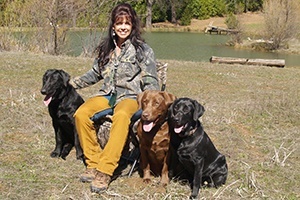 Professional Labrador Retriever Breeder/Trainer both waterfowl and upland hunting n family dogs. Dedicated to the highest of standards in producing as clean of genetics in Labradors as possible. American Field and at times crossed with both English and British lines. 'Stunners' in their looks, guarantee includes birdiness and are clear of known diseases we can test for. I prove my own dogs in competing in all levels of AKC and HRC Hunt and Upland Tests. Black-Choc-Yellow-Fox Red. NO SILVERS! !